My travelling impressions about Austria are so diverse that sometimes I can't believe that I got all of them in one trip. However, it is so! 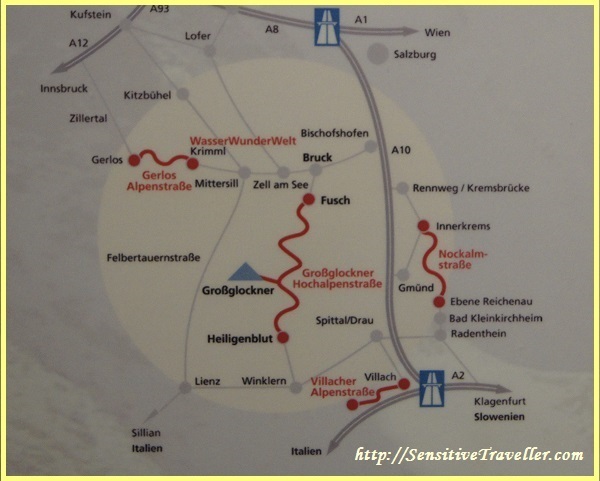 It was my second journey across the Austrian Alps. If the first time we crossed the Alps from north to south (our way was from Venice to Salzburg), this time it was from the south-east to north-west (diagonally from Innsbruck to Graz). Even at first sight at the map you will realize that there are no expressways in this area. A straight line of autobahn connects Graz and Salzburg and the same one leads from Salzburg to Innsbruck. It is the best way to get quickly from one place to another through the mountains. How can you marvel at the surrounding countryside from your car which moves at the maximum speed? You have to watch the traffic closely. Since we were planning to enjoy the beautiful scenery with mountains, lakes and waterfalls, expressways were out of the question. 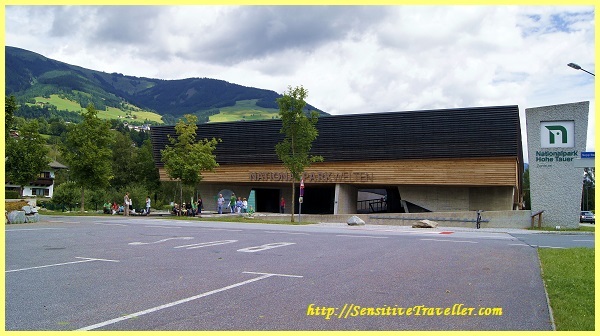 The Information Centre of Austrian National Park and its museum. In Mittersill a queer building surrounded by lots of cars and buses caught our attention. 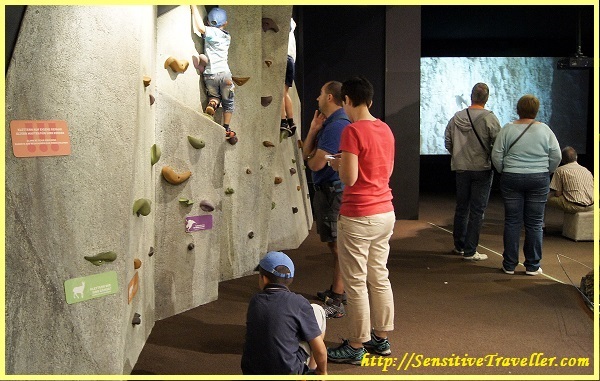 It turned out that it was the Information Centre of Austrian National Park and its museum. At the parking we heard some people speaking Russian. We thought they were our countrymen but we were wrong. They were Germans who had previously lived in Russia, and then they moved for permanent residence to Germany after the disintegration of the Soviet Union. They were as happy to see us as we were because you can rarely meet Russians in this region. Our new friends advised us to drive along the scenic roads of the National Park and visit the Information Center before setting off. And we followed their advice. I-Centre of the National Park is very interesting and beautiful. It is equipped with the latest technology: 3D-effects show the main natural attractions of the Alpine Reserve and playback of the formation of glaciers, etc. 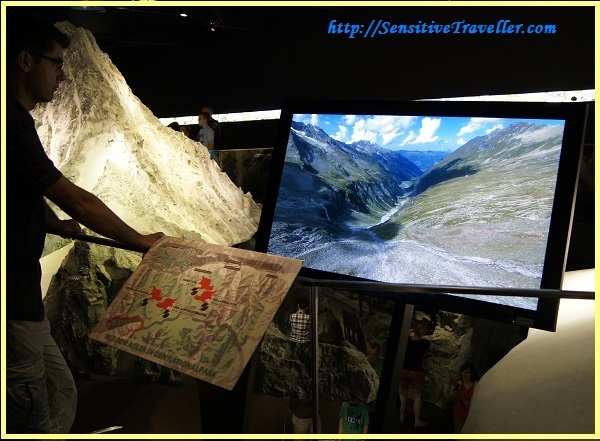 3D-effects show the main natural attractions of the Alpine Reserve and playback of the formation of glaciers, etc. While staying in the Center I did not see a single visitor who was bored. The entrance fee for an adult is just 1 euro. There are discounts for families with children. It’s a pity that I couldn’t find any leaflet about the Park in Russian. So we took the English one. 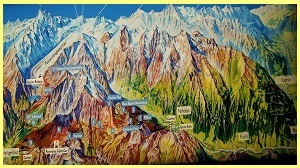 We examined in detail the Map of Scenic roads on a large layout at the Centre and selected two of them, in our opinion the most picturesque ones. One of them leds to the waterfall and the second one to the largest glacier of the Austrian Alps. 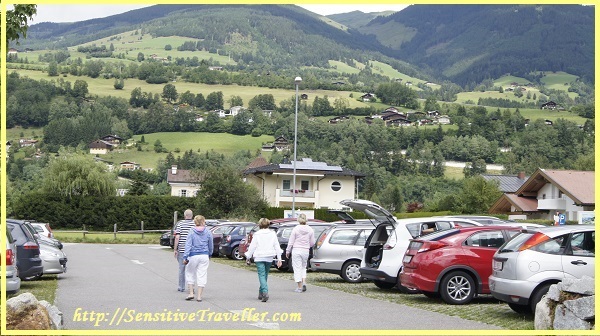 The entrance fee to the National Park was 34 euros per car. Payment is taken in specially equipped booths on the road. They are similar to booths on toll roads in Italy. After paying we were given a special sticker with the symbol of the Park and we were shown where to put it on the windshield. And one more thing: you can pay not only in cash but also by credit card. It's convenient. This entry was posted in Traveller's impressions and tagged travelling. Bookmark the permalink.